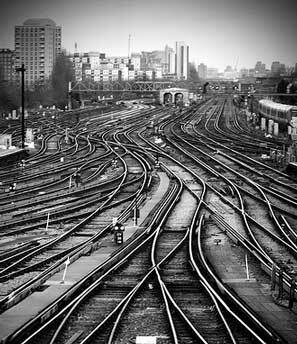 Cities are divided places; railways, canals, bridges and barriered ring-roads dissect communities allowing commerce to accelerate unhindered. A post-industrial patchwork has left isolated zones known now by their economic and social characteristics. Some areas are what Frederic M. Thrasher called ‘delinquency areas’. Bits of ‘turf’ where seeping damp of deprivation sits opposite red chino’d deli-land. Cafe Society cranes up at high-rise poverty and the High-Risen peer down, both bemused at a gulf which was once bridged by the aspiring working-classes. Except the working-class as we knew it has long disappeared. Thrasher’s contemporary Ezra Park mapped the city phenomenon of crime-ridden Chicago. A city awash with the dispossessed as is London; where little patches of terror brutalise its occupants for whom being upwardly mobile means an apartment on the next floor. Few who condemn the current miscreants of the UK riots would venture into the dark alleys of 1960s’ concrete modernism, designed by idealists in horn rims. Taking a wrong-turn in London late at night is for many an eye-opening experience. Former communities are now often populated by people, as Michael Green put it, who are alone: lots of contacts but no relationships. These are frequently men supported by the state living in multi-occupancy properties. Where I sit in my study (spare bedroom) I gaze at the backs of the tall elegant town houses not far from the city centre where wasted and unshaven men are at a loss for large parts of the day. They’ve drifted from family and relationships into isolation; lifestyles that are in direct parallel to 20s’ Chicago. Here suicide rates and mental illness fester. As in the ‘furnished rooms’ of Chicago here the ritual of family life, such as sitting at a meal table, has long disappeared. Life has no rhythm or cadence that beats out purpose. The rampaging young men crossing the boundary of their ghetto in London are out to experience what many take for granted; a sense of ownership of a wider world before being corralled back to a zone demarked as economically and socially alien. Possession of a Blackberry is no longer a symbol of yuppie-wealth but a signifier of the depersonalisation and commercialisation of relationships. To address this requires a change in the structure of society. You don’t have to have the brains of a holidaying politician to know Her Majesty’s Collectors of Taxes soft-peddle on the millions owed by corporate business after being suitably wined and dined; that MPs smashed and grabbed for years and Fred the Shred is paid £600k per annum after impoverishing the nation for the next decade. People are not stupid. They know the system is intrinsically staked to ‘the haves’. We know the Tories are happy to have indebted students as the indebted stay in work despite poor terms and conditions. People make connections between the leitmotifs of existence and craft a theme-to-life. The grand tokenism or the exaggerated gesture of middle-England sweeping their streets for a day doth Big Society not create. It’s as valued as genuflecting energetically at Sunday Service. It does mean reversing inherent injustices of a hyper-consumerist world and the mantra of ‘wealth, beauty and success’. ‘Well-being, self-respect and dignity’ are messages that don’t involve an economic exchange primarily but do lead to better economics. These are core assumptions about how our economy functions which if re-taught lead to surface practices that become intuitive. Telling the oik who drops his litter to put it in the bin, often followed by massive amounts of swearing and abuse, doesn’t scratch core values that are only found in liminally formed communities. It’s obvious isn’t it when you think about it. Excellent and thought provoking. Thanks. ‘Nail on head’ springs to mind! You’r quite right with this one..